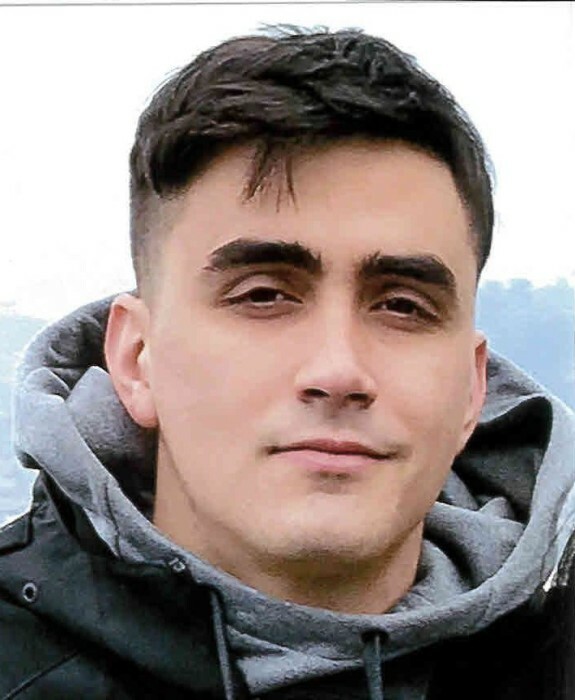 Obituary for Cody L. Kleffel | Milkins Giles Funeral Home Inc.
Cody L. Kleffel, 23, of Maidencreek Township, died Tuesday in his residence. He was the loving son of Kenneth L Jr.. and Christina R. (Porr) Kleffel of Maidencreek Township. Cody was born April 20, 1995 in West Reading. Surviving in addition to his parents is a sister, Kaylee L. Kleffel of Maidencreek Township. Paternal Grandmother, Mae B. Kleffel of Kutztown; Maternal Grandparents, Timothy C. & Cynthia L. Sherman of Temple; and Maternal Great Grandmother, Doris L. Sherman of Temple. Uncle James K. husband of Teresa Kleffel of Kutztown; Uncle Keith L. Kleffel of Kutztown; Aunt Lori wife of Keith Crammer of Wernersville; Aunt Jennifer L. wife of Todd Wentzel of Muhlenberg Township; and Great Uncle Terry husband of Karen Shober of Leesport. Cody graduated in December 2018 from Indiana University of Pennsylvania with a Bachelor of Arts Degree. He, also, graduated from Fleetwood High School in 2014. Cody enjoyed many hobbies; playing his guitar, camping, hiking, basketball, and fishing. Funeral services from Milkins Giles Funeral Home, Inc. Temple on Wednesday at 4:30 P.M.with Reverend Dr. Daniel Lute officiating. Family will receive friends on Wednesday 3:00 P.M. until time of service.